Welcome to Millwheel Service Unit! We are in Penfield, NY and are part of the Girl Scouts of Western New York Council. We serve over 300 girls in 43 troops. 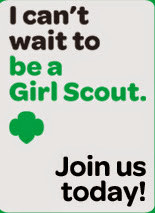 Looking for a Girl Scout Troop????? Girl Scouts of Western New York brings Girl Scouting programs to girls and young women between the ages of 5 and 17. Girls discover the fun, friendship, and the power of girls together. Girl Scouting helps cultivate values, social conscience and self-esteem in girls while enriching them with valuable and positive life experiences. The Millwheel Service Team is always looking for adult volunteers to join our team! How will you help - To Get Her There? Our girls have contributed to our community in numerous ways. They have grown personally and helped others to achieve their goals. Check out this small sampling of what Millwheel Scouting is all about! Copyright © 2011-2019 Girl Scouts of Western New York Millwheel Service Unit. All rights reserved.